Simpliday, is a new iPhone calendar app with a mission to replace the iCalendar and serve as a replacement for the Sunrise calendar app that will no longer be available starting next month. The app that combines meetings, reminders and email in one app, recently announced its updated version that incorporates visual invitations that are easy to create and send while making any invite stand out from other mobile calendar invitations. The new version also offers premium ($$) background images, the option to categorize reminders, the option to add multiple email accounts, the option to attached documents to meetings and reminders, and priority support. Simpliday is also available in a free version that allows for reminder and meeting creation and manipulation, a weekly overview, and the option to turn emails into meetings or reminders. 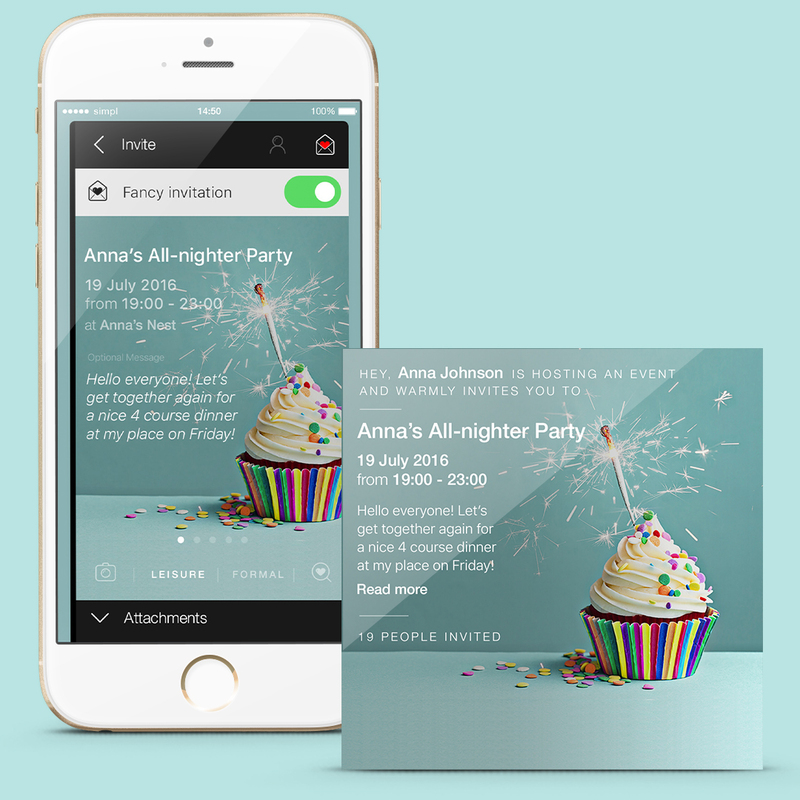 Calendar invitations, sent through SMS, Facebook or email, offer the easiest way to create customized invites for user’s meetings, workshops, dinners, parties and events. Simpliday is viewed in day, week or month format with reminders listed within the calendar, making sure no task goes unnoticed. Reminders can be assigned to others, and files, images and descriptions can be included as needed. Files can be uploaded from Dropbox, Google Drive, iCloud and OneDrive to reminders and meetings. Simpliday launched on June 16, 2016 with a free version and included many of the now-paid features. Users who have previously downloaded Simpliday will be able to utilize all of the benefits of the premium version at no cost. Additional features and pricing of the app will be announced in the future. To download Simpliday for iPhone, visit Simpliday—Meetings, Reminders & Email In One or learn more at www.simpliday.com. A demo video can be seen at https://vimeo.com/160755902/498ac49655.